1. Elder Cook is the great-great-grandson of apostle Heber C. Kimball, and great-grandson of David Patten Kimball, who helped carry members of the Martin Handcart Company across the Sweetwater River. 2. At age 16, he got to represent Utah at a national debate event, and there he met current and future U.S. presidents Dwight D. Eisenhower, John F. Kennedy, Lyndon B. Johnson, Richard M. Nixon, and Gerald R. Ford. We don't have a picture of that, but here he is with First Lady Michelle Obama when she visited Church HQ in 2008. 3. 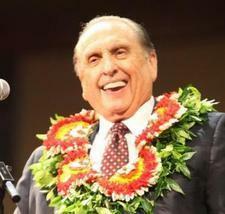 He served a mission to the British Isles and was mission companions with Elder Jeffrey R. Holland. 4. He has known his wife, Mary, since junior high, where he was student-body president and she was student-body vice president. 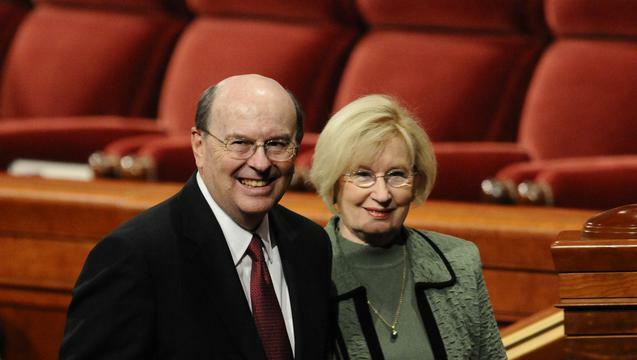 They were married in the Logan Utah Temple on November 30, 1962. 5. He was the executive director of the Church Missionary Department, and played a crucial role in the rescue of four missionaries who were abducted in Nigeria in 2007.